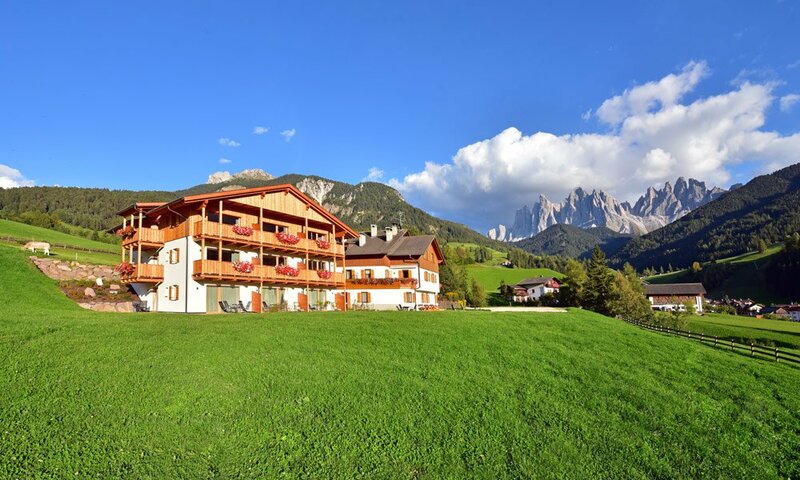 Quiet, yet centrally located – spend your holiday in the Dolomites at the farm Proihof in the village of Funes. 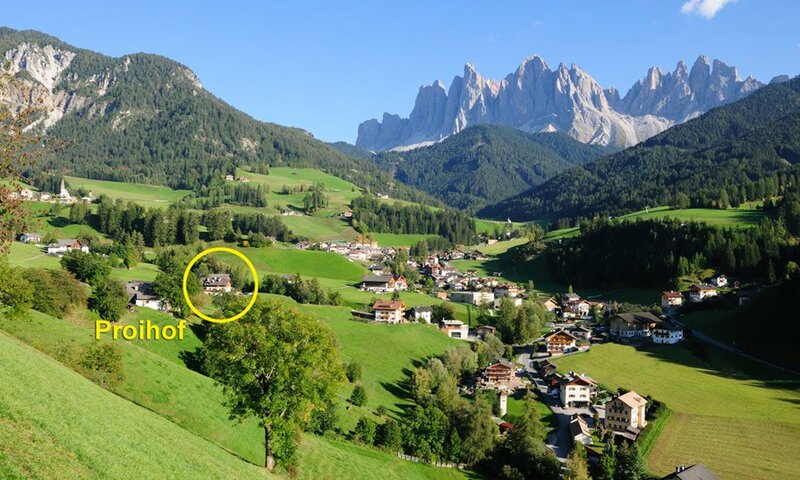 Thanks to the unique location of the farm, during your vacation in the Dolomites at the farm Proihof, you may enjoy a panoramic view of the mountains surrounding the Val di Funes. 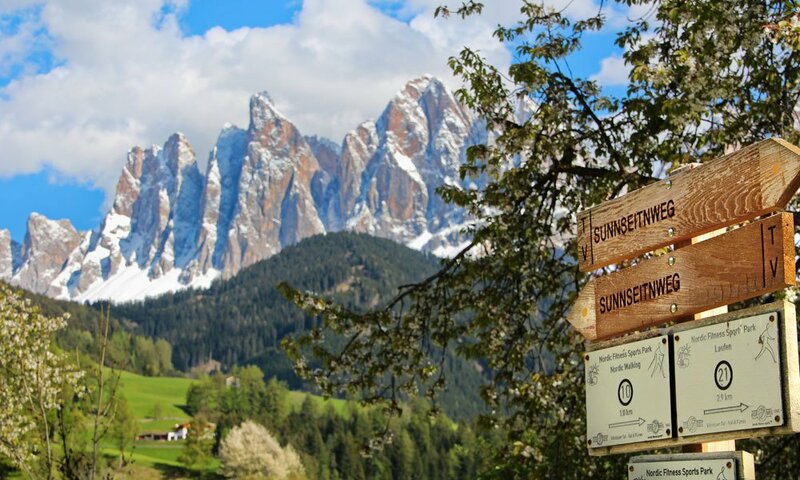 You may admire the Odle Peaks to the east, Mount Ruefen to the north and the Alpe di Villandro and Corno del Renon to the west. Located on a sunny hillside in the village of S. Maddalena, the farm Proihof is surrounded by lush meadows and unspoiled nature. Your holiday in the Dolomites will take you far away from the madding crowds. However, your Dolomite vacation still offers you a modern infrastructure. The village centre of S. Maddalena is just a short walk from your holiday accommodation. There you will find everything you need for a successful holiday. The village store offers a vast choice of goods. And also the Nature Park House is only a few minutes away – there you’ll find plenty of information about your holiday region. Typical South Tyrolean specialties are served in the local taverns and restaurants, which are only a short walk from your holiday accommodation. And if you wish to take a day trip – for example, to the provincial capital Bolzano – you may use the excellent public transport. The village of S. Maddalena is very well connected to the public transport network of the region.